Serving as a school governor involves local people in how education is run and gives them a chance to share their expertise with staff. Peter Cheney asks two governors about what the role involves. The role of boards of governors often goes unnoticed but their work provides a tangible link between schools and their communities and makes sure that parents, teachers and other local people have a voice in the running of a school. governors appointed by the education and library boards or the Department of Education, to represent the interests of the public and tax-payers. Businesswoman Christine Harpur is a governor at Malone Integrated College, a grant-maintained integrated school. A board’s general priorities, she explains, are to provide the “best quality of education with the staff that you have” and the right working environment for the staff, and also to meet departmental targets. The board is also pressing for improved PE facilities. The current ones are outdated, meaning that the school has to bus children elsewhere. Staff want to capitalise on the Olympic legacy and also give children more opportunities to play together as part of integration. Governors in Catholic maintained schools have an extra responsibility to maintain the school’s ethos and oversee the development of the faith. Sean McArdle, previously Regional Director of First Trust Bank, chairs the board of governors at St Anne’s Primary School, Dunmurry. 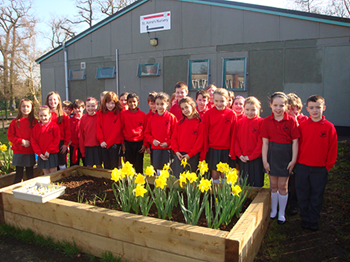 The school is Northern Ireland’s largest primary with 91 staff and 860 pupils. The principal, Michael Keenan, and the chair have a “very strong working relationship”. St Anne’s governors list their priorities as, firstly, the safety and welfare of children (on a large site with two sets of buildings) and, secondly, ensuring that children are educated properly, so they can move on to post-primary education. The school runs a programme with Finaghy and Strandtown primary schools e.g. cross-community sporting events with pupils from different schools in each team. Hunterhouse College and Rathmore Grammar School provide sporting facilities for St Anne’s and their pupils also come in to work with the children. Two feasibility studies have identified the need for a new school and the board will keep lobbying the department for that investment. Disciplinary issues are tough to deal with and Mr McArdle admits to being frustrated with the slow speed of action in education.